Did you know that Oregon wineries number over 600!?! Wineries stretching from the Willamette Valley, to the Umpqua Valley, and east to the Rogue Valley will be participating in the month-long celebration. To honor this billion dollar industry and its brilliant winemakers, many wineries will have special promotions, activities, and tastings to commemorate this ancient craft. The natural beauty of Oregon paired with the stellar reputation of Oregon wines is something for all to enjoy! 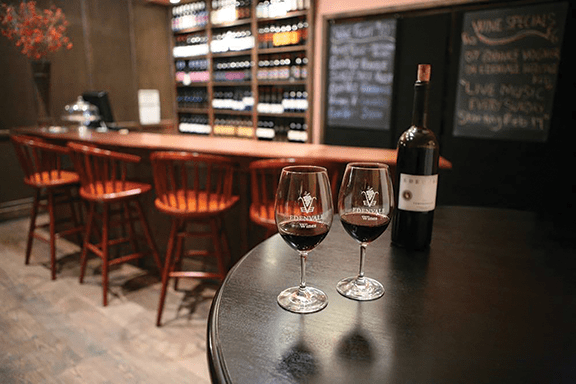 EdenVale specializes in Syrah, Viognier, Tempranillo, Grenache, Pinot Noir, and Chardonnay and we encourage you to stop by either location to taste our beautifully aged reds and crisp whites poured by our friendly and knowledgeable team members. After you have found your favorite, enjoy a glass sitting at Enoteca’s second floor lounge overlooking Ashland’s downtown plaza, or at the Voorhies Mansion watching the sunset behind the rolling hills, grape vines, and pear trees. To help plan your Oregon Wine Month experience, the Oregon Wine Board has prepared a frequently updated online guide to events, activities, and places to dine. Come visit to see and taste for yourself what the wine writers and restaurateurs are rhapsodizing about. Oregon’s vintners are waiting. Visit oregonwinemonth.org to discover what’s happening.